That sounds pretty incredible. Cant wait to see how this plays out. I wonder if we’re allowed to record it live? I think uploading it to YouTube for others to experience who might not be able to come would be great. Also, I love the Troodon design. Looks way better than that Xenomorph hybrid Pectinodon thing from the 2011 Telltale game. Also – yes the show sounds and looks INCREDIBLE! I went from on the fence to sold so quickly! Secret dinosaur facilities on remote mainland locations? COUNT ME IN! So cool. Hey Klayton, love your youtube videos! It’s great that Jurassic is getting into the expanded universe area. However, I hope it is recorded like you said. I can’t just go down to the States from Canada to see this… too expensive. I like the “Troodon” design (apart from missing sickle claws, of course). Judging from her size she probably should be called Latenivenatrix, though ( and ). Also kinda disappointed that the story is similar to JW:FK with the “go to island to save raptor-like dinosaur” plot. Could’ve been worse though, so shouldn’t complain! This is so awesomely wonderful!!!!!! 24 dinosaurs and one big story taking place between Jurassic world and the fallen kingdom!!!! Oh WOW! They shouldn’t have shared information until after this event. It sounded really boring before, but this actually seems great!? 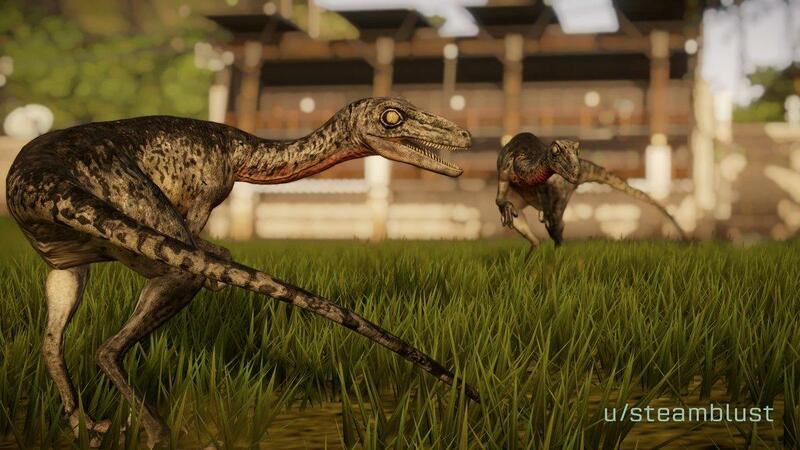 I hope they fix the Troodon though! Does anyone else think this should be made into a movie or TV show?? I want to know more about the other dinosaur facilities, but new locations of the park so much, and I really want to see them in a live action film. 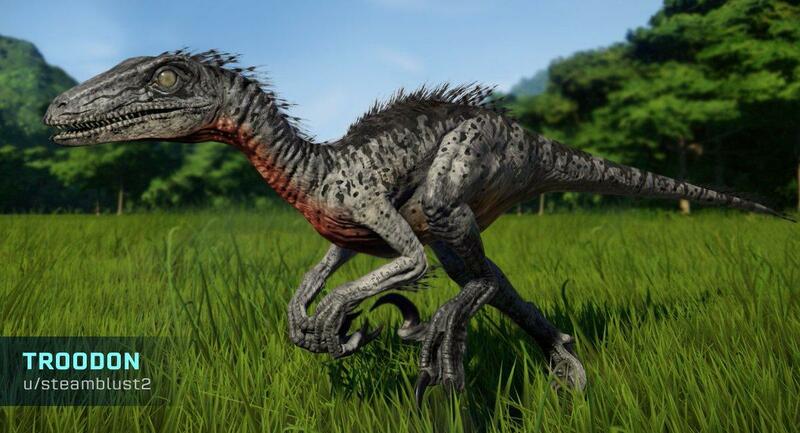 I think it is supposed to be based on the troodon from jurassic world evolution. I must say it is amazing that this is actually canon! Secret facility in Chile, New canon dinosaur. I can never help but wonder what else ingen has been hiding. Maybe the Nipponosaurus, Koshisaurus, and Plesiosaurus, we’re also cloned by ingen. First and foremost, how many Bens are in the comment section now? Second, the show sounds really neat! A globe trotting adventure that puts the “World” in Jurassic World much better than Fallen Kingdom did. It’s sort if outlandish, which is fine for a live show, but my issue lies with the fact that it’s intended to be canon to the film universe. Though they’ve said they’re doing their best to stay true to the tone of the films, the overall plot , again, seems kinda crazy and the fact that it’s also a live show just runs me the wrong way. It diminishes the worth of continuity in this franchise, in my eyes. Rexy must have grown a whole foot in a couple years, going from 43 feet in this to 44 by Fallen Kingdom. Interesting. Too bad this is all the way in Tennessee. No way I’ll be able to go down there for this. Hopefully someone can put it on YouTube for folks like me. neat but sad to see the continuation of the beakless stego design and im pretty sure Troodon had a sickle toe claw but the animatronic doesn’t it looks more like a giant compy then a troodon. Will there be new merch and toys to reflect the characters in this show? New human figures like Kate and maybe new dinosaur like Jeanie the Troodon!?! There will be exclusive merch and toys!! Stay tuned for their reveals later this year. So cringey. Why do they do this?? Why is Blue in EVERYTHING!? Only Owen can stop the damn thing from killing people and that’s only because he raised it. Now everyone and their 4 year old daughter throw out their arms and treat the thing like a puppy. Some random female will ‘control’ her for this stupid show too, just watch. Cringey and STUPID. For the love of Ingen, calm down and let people enjoy it. Nobody likes a buzzkill you curmudgeon, how about you go beneath a rock until the far future where you won’t have to worry about this stuff gosh darn. And let everything get ruined without dissent? Nay! The Problem is being annoying on a public forum doesn’t do that. AT ALL. It just makes people hate you. Actually be productive for once, instead of a whiny 2-year old.